Went to Stormwind via Stormshield, no Pandaria portal in Stormwind. So I picked this quest up on the hero's board. Wasn't "auto-complete" for me, as mentioned here for the level 90 boost. Waited for the ship to get to Pandaria, and flew to the Shrine to set hearth. 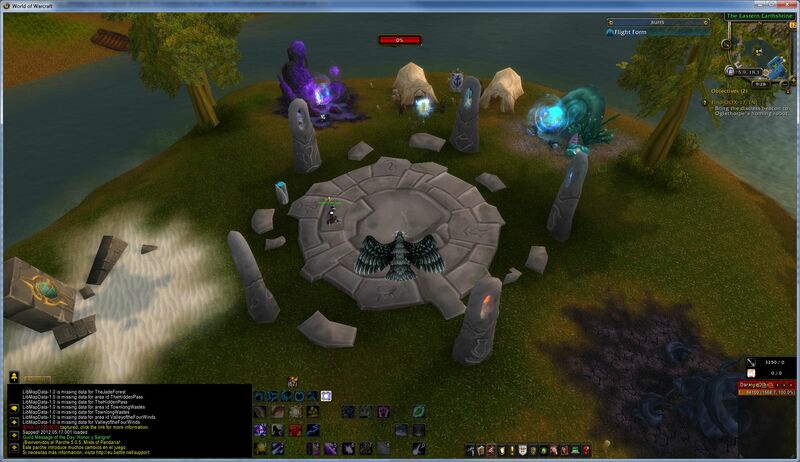 When I got back to SW, I had the Pandaria portal. Comment by misspilgrim if you boosted a toon for the alliance and cant find the... What is the fastest way to get to Blasted Lands? (I don't have many FPS - maybe two or so.) Is the portal to Blasted Lands in SW still active? (I don't have many FPS - maybe two or so.) Is the portal to Blasted Lands in SW still active? The 8.1.5 PTR has started to be deployed to the PTR, containing the long awaited Zandalari and Kul Tiran Allied Races. Welcome to buy cheap WoW gold to experience great WoW new features and make a good preparation for upcoming content. The intended way to get to Vashj'ir for the first time is via one of the breadcrumb quests:  To the Depths,  Hero's Call: Vashj'ir! or  Warchief's Command: Vashj'ir!. Alliance players are sent to Stormwind Harbor to the northernmost dock. Mists of Pandaria Timewalking has been introduced at BlizzCon. Now's the right time to look at it in more detail. Now's the right time to look at it in more detail. Every player with level 91 and higher can participate in the event.